/ On : 12:04 PM / Thank you for visiting this website. 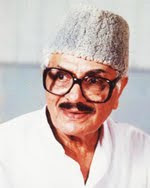 Sharad Talwalkar was an Indian film and television actor who led the Marathi Film Industry and Theatre for many years. 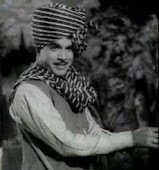 He had performed in more than 180 Marathi films.Sharad Talwalkar had made his film debut in Datta Dharmadhikari's 'Akher Zamla' in 1952 with Raja Gosavi (it was his debut too), Talwalkar played a comic role in that movie. This movie was a hit and the duo Raja Gosavi and Sharad Talwalkar emerged as a comic pair, and thereafter acted together in many movies. In his early days Sharad Talwarkar worked mainly in Mumbai, Pune & Kolhapur. 'Lakhachi Gosta' and 'Pedgaonche Shahane' were films in his early days. 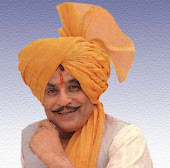 Avaghachi Sansar was his first colour film. The most interesting amongst these is his career as a theater actor. He has acted in around 45 plays. Ekach Pyala, Gharo Ghari Heech Bomb, Lagnachi Bedi are some of his prominent plays. 1972 AAIE MI KUTHE JAU?